Dealer Disclosure: Accessories & color may vary. Dealer not responsible for errors or omissions. New vehicle pricing may already include applicable manufacturer incentives which may expire at any time & are subject to incentive qualification criteria & requirements. Manufacturer incentive data & vehicle features is provided by third parties & believed to be accurate as of the time of publication. Please contact the store by email or phone for details & availability of incentives. Sales tax or other taxes, tag, title, registration fees, government fees, not included. Dealer Services Fee not included in quoted price. Pre-owned vehicle Money-Back Guarantee is valid for 5 days or 250 miles, whichever comes first. Subject to certain terms and conditions. See store for details. Some restrictions apply. Vehicles may have unrepaired safety recalls. You can check recall status by VIN, at safercar.gov. 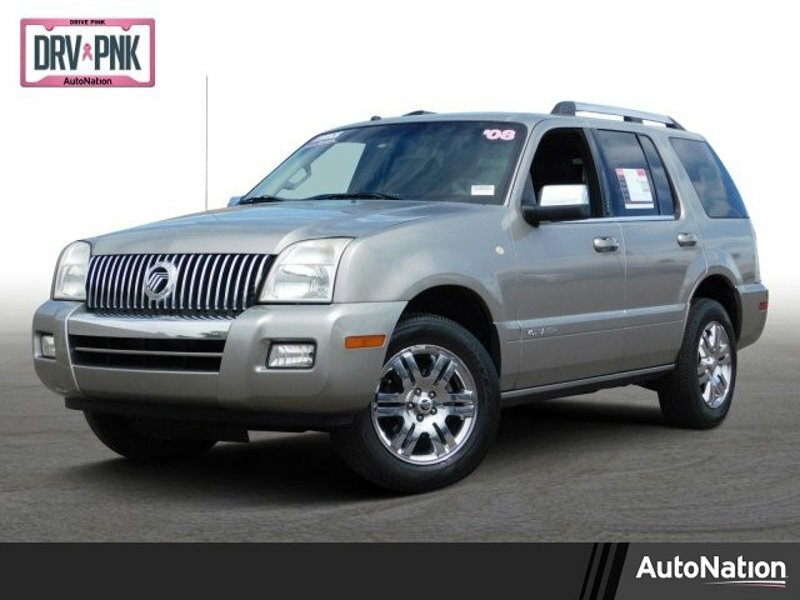 Hi, I'm interested in your Used 2008 Mercury Mountaineer Premier listed on Autotrader for $7,498. I'd like to get more information about this vehicle and confirm its availability.